Last week I joined in a really cool project, The Scribble Matchmaker, launched by Lisa Currie, creator of The Scribble Project. Its aim is to find your scribble match and make you collaborate on a drawing with someone you don’t know. Pretty exciting idea! 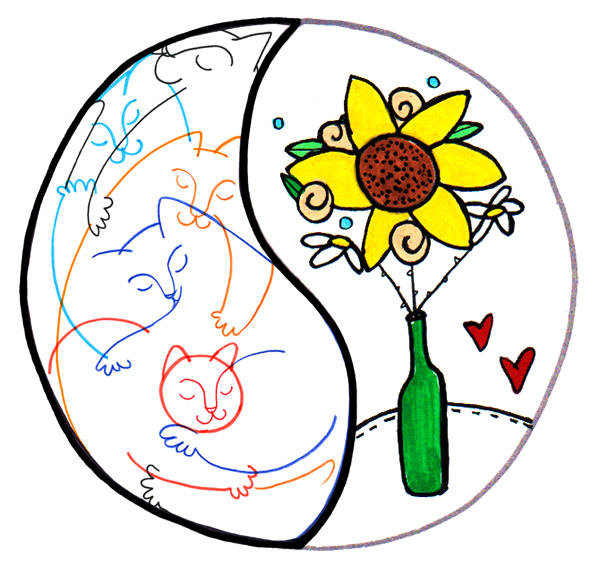 My scribble half is the Spanish illustrator Marina Ferrando and here is our drawing: Check other yin-yangs on The Scribble Project!